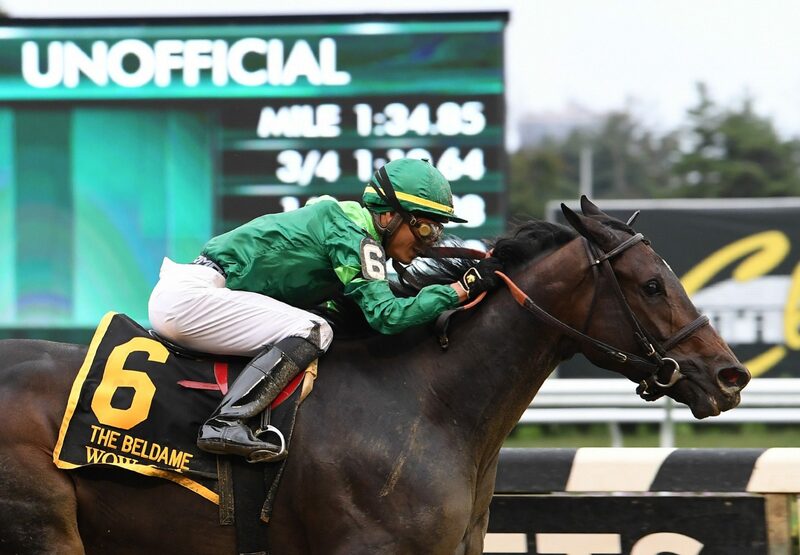 An unbeaten champion in her homeland of Chile, top class South American bred mare Wow Cat (4m Lookin at Lucky x Winter Cat, by Cat Thief) hit the heights in the US at her third start since joining the Chad Brown stable when winning the $400,000 Grade I Beldame Stakes at Belmont on Saturday. Placed at her first two starts in North America, she found her best form to win the 1 and 1/8th mile contest by more than three lengths in a dominant display. 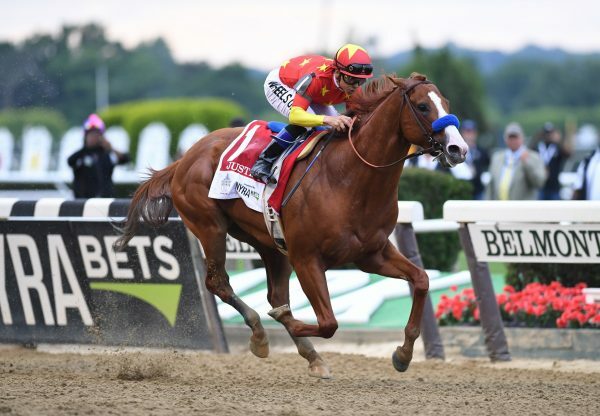 “She looked great,” said Chad Brown. “I was watching on a head-on screen in one of the boxes. I felt really good watching the head-on because Jose [Ortiz] was always looking around him and was well in hand the whole way around the turn. I had a good feeling throughout the race. Wow Cat has the imposing record of nine wins and two placings from 11 starts and there will be more wins in store with the Grade I Breeders Cup Distaff a possibility. “I want to discuss it with the partners and Peter [Brant] and the breeders, because the way she ran today, and the fact that she might just be coming around and getting climatized over here and really finding her rhythm, and finding a surface she likes...if she goes to Churchill and likes it, who knows. I'm open to it,” Chad Brown added. 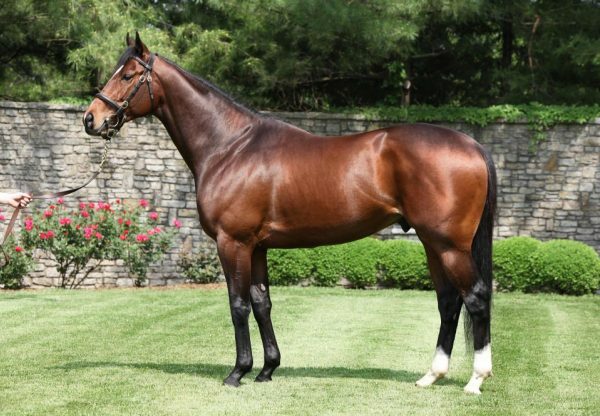 A three-quarter sister-in-blood to stakes-winner Lucky Winter (also by Lookin at Lucky), Wow Cat is the best of seven winners from Winter Cat, a half-sister to stakes-winners Lucky Winter and Bay Harbour. 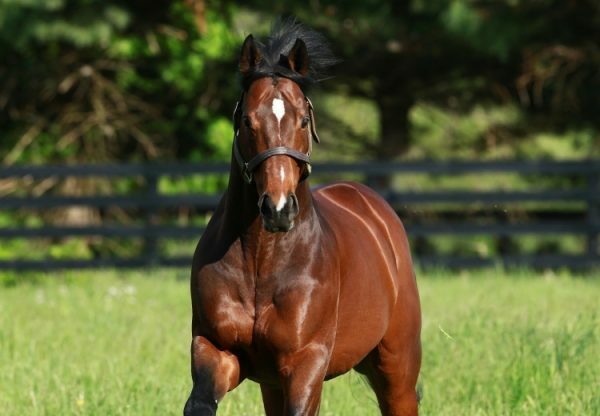 Wow Cat is the second Grade I winner in North America for Lookin at Lucky joining Accelerate.